From carefully selected raw materials and exclusive designs to the strictest quality control. At Maes, everything is dominated by the search for the highest quality and best service. At Maes, we are masters in the creation and production of mattress tickings, both woven and knitted. Four generations of craftsmanship and nearly 100 years of expertise are at the disposal of our customers. Our entire manufacturing process is vertically integrated, which is unique in the world. 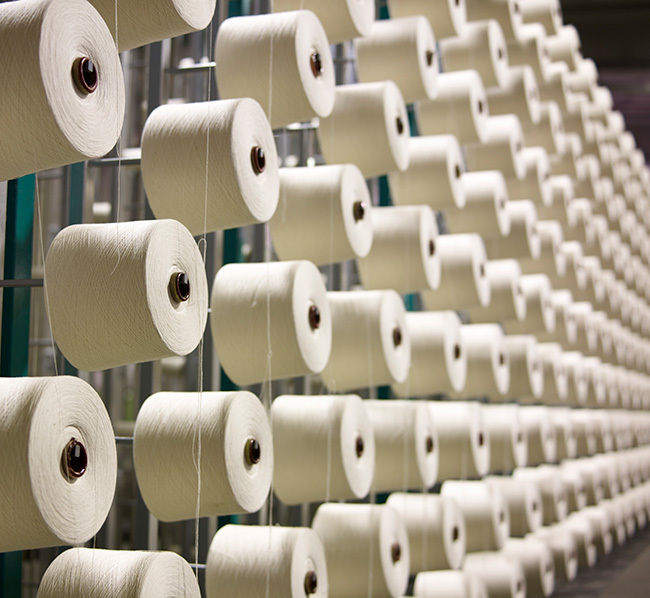 After all, 100% of our production takes place at our Zwevegem site (Belgium), from preparing the yarn to packing the fabrics. This unique approach translates into superior quality and a fast and flexible service. Everything starts with the quality of the raw materials. We carefully select them, with a preference for natural yarns such as cotton, viscose, wool and flax so that the natural properties of the final product fully come into their own. Thanks to many investments in modern technology and the largest dyeing unit in Europe, we at Maes have developed a unique range of colours based on the latest trends. For the weaving process, we produce our own warps. In this way, we always know that we have a sound basis for high-quality weaving. We create exclusive designs tailored to our customers. We listen to their stories which we convert into creative collections so that they can respond to the high demands of the final consumer. At Maes, we have been masters at weaving since 1926. We produce the highest available densities for mattress fabrics and have the fastest Jacquard looms in Europe. Due to a growing demand for high-quality knitted fabrics, Maes also started to focus on knitting in the late 1990s. We became specialists in jacquard knitting with circular knitting machines and knitting in the highest densities. Our fabrics are finished to ensure the fabrics stability. Moreover, during the finishing process, we can also give the fabric additional functionality or a particular look & feel. Of course, we always do this with the greatest respect for the natural product. The vertical integration in our Zwevegem plant allows us to always maintain control over the entire production process. Computerised and thorough quality checks ensure that we can always guarantee Maes top quality. All materials are checked meticulously. Moreover, we are always testing the various aspects of our manufacturing and production process in our own laboratory. 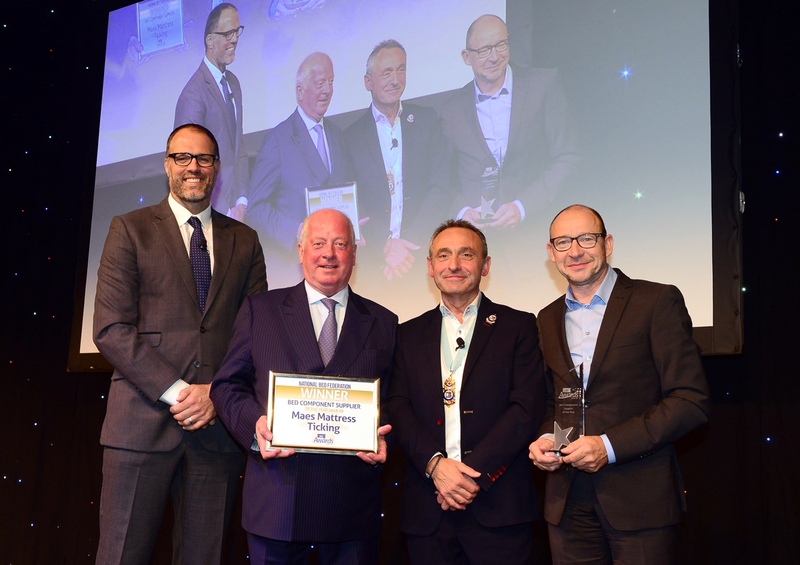 Our new BIO FR treatment M-Pure® is the proud winner of the NBF award: Bed Component Supplier of the year 2018 - 2019!